We now know which teams will be contesting the Champions League's round-of-16 after the final group games saw the likes of Tottenham and Liverpool scraping through. Some teams had little difficulty booking their place, with Porto, Bayern Munich and Barcelona topping their respective groups unbeaten. Juventus and holders Real Madrid also progress as group winners, despite suffering shock defeats on Wednesday to Young Boys and CSKA Moscow, respectively. Those who emerged as leaders in the round-robin phase will – theoretically at least – expect slightly kinder draws in the next round. However, there are certainly a few jokers in the pack, with Atletico Madrid, Spurs, Liverpool and Manchester United all going through as runners-up. 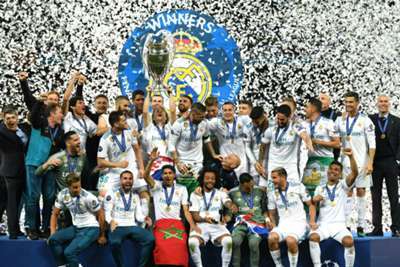 For most, the knockout phase is when the Champions League really starts to build the intrigue, but there are rules in place preventing clubs from facing other sides from the same nation or group in the last 16. So, who could each team end up drawing? We take a look at the draw scenarios. UEFA Champions League last 16! Who do you want in the next round? The last 16 is set - who do you want to face, Schalke fans? It’s going to be one of these four! The teams will learn their next opponents on December 17 when the draw is made at UEFA's headquarters in Nyon. When will the Champions League last-16 matches be played? One half of the draw will play the first leg matches on 12 or 13 February, with the other four games contested a week later. The return matches take place three weeks later, with the round completed on March 13.